When it comes to a luxury SUV sold at a respected Porsche dealership close to Mandeville, LA, like most people, the features are probably your initial focus. Not only do you want a comfortable and reliable vehicle, but you also want one that comes with a host of standard infotainment, technology, and safety features. Keep in mind that this automaker offers many exciting add-ons as well, allowing you to customize your driving experience. • Porsche Connect – You have access to multiple functions and services to help you drive your luxury SUV. As part of this, you can connect using My Porsche, PCM, or the Porsche Connect app. Included among the 20 plus available apps and services is Online Navigation, which provides information on traffic in real time. • Porsche Voice Pilot – With this Cayenne luxury SUV feature, you use your voice to control various services. Keeping your eyes on the road reduces the risk of an accident dramatically. • Heads Up Display – The Cayenne luxury SUV design includes a full-color heads-up display that provides you with pertinent information about your travels, displaying it within your field of vision. For instance, you can see navigation, a telephone number, warnings, your current speed, and off-road stats. The heads-up display also offers traffic sign recognition. What makes this feature even more appealing is that it automatically adapts to the outside lighting conditions. You can choose between a day and night mode, and even adjust the display height. • Lane Keeping Assist – When designing the Cayenne luxury SUV, Porsche paid close attention to safety. This vehicle comes with Lane Keeping Assist, which works by helping you steer and stay in your lane if you begin to drift. • Night Vision Assist – If you struggle driving at night but want to take your friends out in your luxury SUV, this is an incredible feature. Night Vision Assist provides you with information ahead about an animal or human beyond the headlight’s beam. The system works by detecting potential danger using an infrared camera. Especially if you spend a lot of time on the road, you deserve a little pampering. 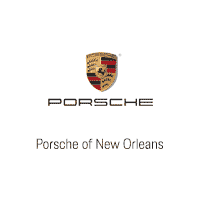 For the Cayenne and other luxury vehicles, visit us at Porsche of New Orleans, just a short drive from Mandeville, LA.